Visit Jackpot Joy Get Your Bonus! Jackpot Joy is a legitimate online casino expressly for players in the UK and Ireland that is certified to be safe and secure. Fully licensed and regulated in Gibraltar and Great Britain. Licensed by the British Gambling Commission Jackpot Joy also promotes responsible gambling and the software is licensed by the Government of Gibraltar and regulated by the Gibraltar Gambling Commissioner. Fast, Reliable Withdrawals ? All legitimate, real-money poker sites like Jackpot Joy have strict anti-fraud screens, and that may create a short withdrawal delay. Make your first deposit and Jackpot Joy will award 30 Free Spins. You earn your bonus simply by signing up and making your first deposit. ? The bonus applies to your first deposit only. Please read the terms and conditions carefully and make sure to take full advantage of the bonus offer. What an exhilarating site this is! As stream of confetti drops right before your eyes, or is it oodles of money, you look at the home page and think it can only mean one of two things: it is the stroke of midnight on New Year’s Eve or someone has hit the jackpot. However, the message “1,000s of Winners!” in big white letters over a bright blue background provides the answer. There is Jackpot Joy in the air! You do have to reside in the UK or Ireland to play at this casino. But if you do, and especially if you love playing bingo as much as you do slots and other casino games, what are you waiting for? 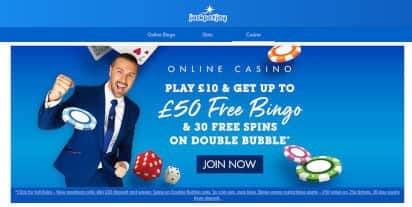 Jackpotjoy.com may be just the UK online casino you have been looking for to put a big smile on your face all the way to the bank. Joining couldn’t be easier because www.jackpotjoy.com is an instant play flash casino, which means you don’t have to download anything. Use the convenient link from Cardschat.com to open the browser based casino on your PC or Mac and follow the easy instructions for registering. Then make a real money deposit, get your bonus, and within minutes, you can start playing your favourite games. Still not convinced that you want to play for real money? Jackpotjoy.com gives you the opportunity to play the game of your choice for free in demo mode first. Or check out the Daily Free Games in the Games Lobby where you can win up to £750 in cash or maybe even the big Tiki Temple progressive jackpot absolutely free. Of course, there are many more jackpots waiting to be won if you become a real money customer. You can check exactly how much each of the progressive jackpots are at any given moment on each of the Jackpot Joy progressive games. As of this writing, several games have jackpots at over £250,000 and climbing. Bingo is another fun game at Jackpotjoy Online Casino, and to make sure you are never bored playing it, there are many different varieties. Or, if you prefer, there are plenty of casino games you can choose from as well. Later in our Jackpotjoy.com casino review, we will tell you more about the different types of games this casino has to offer, including a game that is unique to Gamesys casinos called SNAP! Above all, Jackpot Joy is more than just another place to gamble online; it is a fun casino. Whatever your level of play might be, your action receives a warm welcome. If you are a small player, you can make minimal bets and never have to worry about breaking the bank. If you like to play for high stakes, the casino will not only accommodate you, but amply reward you with its generous VIP program. As a UK casino player, you have many options open to you for gambling online. Obviously, you can’t play everywhere, but trying to sort out the best of the bunch isn’t easy. Our expert reviewers at Cardschat.com know exactly what to look for in evaluating a casino, with one of the most important requirements being that the site is safe and secure and that you, the player, are treated fairly. Our www.jackpotjoy.com casino review should leave no doubt that this online casino conducts its operations responsibility and that security and fair play are a top priority. Jackpotjoy.com gives you the double protection of having two licences, its original one from the Government of Gibraltar and the Gibraltar Gaming Authority (which has a reputation for being very strict) and its most recent licence from the Gaming Commission in Great Britain. New laws were recently established in the UK requiring that foreign based online operators must obtain an additional UK issued licence in order to continue to offer games to its residents. Obviously, if there was anything questionable about the Jackpotjoy.com gaming practices, it would not have been issued such a licence. Some online casinos are no longer open to UK customers, either because they chose voluntarily not to undergo the additional scrutiny or they did not measure up. However, jackpotjoy.com proudly displays its second licence as a UK casino and is in full compliance with British gambling laws. Gamesys, the company that Jackpotjoy Online Casino partnered with to power its software, has been in business since 2001 and also has an impeccable reputation. To help you pick the games that are most right for you, simply click on the “Game Information” and “How to Play” tabs for a brief description of each game together with the return to player (RTP). Another feature you can always count on at this casino is great customer service. Jackpotjoy.com was the winner of the 2012 and 2013 EGR award for Best Casino Services Operator. Not only is Customer Support on hand 24/7 to answer all of your questions via live chat, phone, or email, but in the rare instance you may have a problem or concern, they will get it resolved quickly and fairly. As mentioned in the previous section, Jackpotjoy.com is powered by Gamesys. Besides being one of the leading software providers in the UK, Gamesys is known internationally. Jackpotjoy chose Gamesys as its provider because the company seems to stand for the same values as the Jackpotjoy brand: fun, good value, entertainment, quality, innovative games, and customer service second to none. Compared to some online casinos, www.jackpotjoy.com is small in size, and while new games are added from time to time, it will probably stay that way. The focus is not on building a portfolio of hundreds of games, but more on offering quality games with their own unique stamp on them. 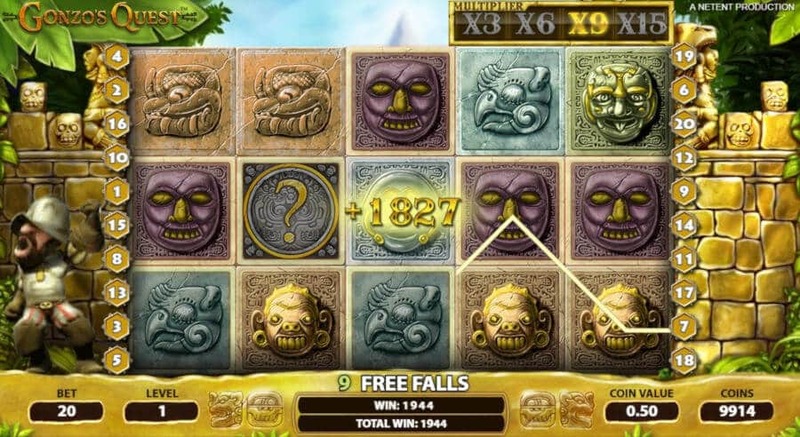 If you wish to have the games saved on your computer for handy access anytime, Jackpot Joy makes it simple. All you need to do is download the Quick Launch Icon to your desktop and you will be able to access any and all games with a single click. Alternatively, since Jackpot Joy is a browser based casino, you have the flexibility of playing away from home when that option is more convenient. You can access the entire collection of games on any computer with an up-to-date flash player. The software is both PC and Mac compatible, too. The lobby categorises the games into the following groups: Bingo, Slots, Video Poker, Casino, and Instant games (i.e., scratch cards). Other categories you might want to check out are Top Games and New Games. Click on the tab that interests you and pick the game you want to play. Or, if you need help deciding, click on the Game Info tab and read the description of the game you are considering, and then watch a free demo. Other sections of the website deal with Promotions, Shop of Joy (loyalty points), VIP program, and Help and FAQ. Our only criticism is that we found navigating the different parts of the site to get specific types of information a little confusing. Sometimes the information was in a different part of the site than expected. Sometimes when you get the urge to play in an online casino you might not have access to a computer. But if you are one of the millions of people in the UK who own a smartphone or tablet, no problem. Jackpotjoy.com now has a mobile app which you can use to play some of your favourite slots on the go. The app is free to all Jackpot Joy players; simply find it among the apps on iTunes, download it, and log in using your existing account. We have to hand it to Gamesys for coming up with such clever names for the slots. Also, for your convenience, you can make withdrawals on the app, and Customer Support is available 24/7 on the app as well. 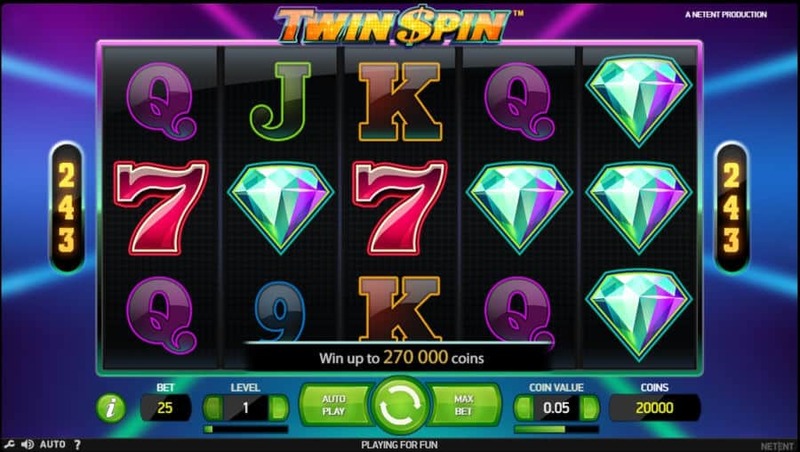 However, in our review of the Jackpotjoy mobile casino, we were disappointed not to find any Jackpotjoy mobile apps for devices other than the above-mentioned Apple iOS devices. So if, instead of an iPad or iPhone, you own an Android or other type of smartphone or tablet, you are out of luck. We certainly hope that Jackpotjoy Casino is developing new apps that will not only support a wider number of games, but also a much wider range of mobile devices. As an extra incentive to get you started on your jackpot journey at Jackpot Joy, the casino offers all new customers signing up for the first time with a real money account a Welcome Bonus. Unlike some online casinos which make the structure and terms of such bonuses very complicated, the Jackpot Joy terms are short and simple and most importantly, very fair. The 250% match is quite generous, considering that many, if not most, online casinos only offer a 100% bonus. Furthermore, all you need to deposit to get the maximum bonus is £100. While, of course, you can make a bigger deposit, your bonus is still capped at £250, which is probably a deterrent if you are a big bettor. On the other hand, the terms and conditions of the Jackpotjoy Welcome Bonus are far superior to what you will find at most online casinos. The Jackpotjoy Welcome Bonus differs from what most online casinos offer in several respects. First, the only game which counts 100% towards meeting the bonus related playthrough requirements is bingo, in which case all you need to do is play through the bonus a miniscule 2x! This is fantastic, but not the only great news. Slots, which at most casinos count 100%, only count 5% here, but if you do the math, you will see that the playthrough requirement is still a very reasonable 40x the bonus. (Most casinos either have a 50x bonus playthrough requirement for slots or use both the bonus and the player’s own deposit to determine the playthrough requirement). On the other hand, as at virtually all online casinos, other games (i.e., roulette) contribute too little of a percentage to be practical towards meeting the wagering requirements, or, like blackjack, do not count at all. You have 30 days to meet the wagering requirements in full, which is also very reasonable. Of course, if you are a small player, you can further scale back the wagering requirements by depositing less than £100 and accepting a smaller bonus. The minimum deposit is only £10. But wait, we have more great news. Let’s say, you decide after accepting the bonus, you cannot or don’t want to meet the meet the full wagering requirements. After 30 days, the only money you forfeit is the bonus itself. You can still keep and withdraw all of your winnings that you got with the help of the bonus! While jackpotjoy.com does not appear to offer as wide of a range of banking options as some online casinos, most players should find the existing choices adequate. GBP, EUR, and USD are all accepted as currency. We were surprised, however, that a website as forthcoming as this one is about most aspects of its operation, is not as informative as it should be about banking. For example, specific information regarding maximum withdrawals, average processing times for the various methods, and any methods for deposit that cannot be used for withdrawal would be most helpful. Including such information on the website where it is readily and quickly accessible would save players the time and trouble of having to contact Customer Support to get those questions answered. Of course, the most important consideration with regard to banking at any online casino is the matter of security. We can assure you, whatever banking method you select, that jackpotjoy.com is a safe and secure site which takes appropriate measures to ensure that each player’s account is fully protected. The casino also has a reputation for fast withdrawals. The minimum amount for both deposits and withdrawals is £10. Check with Customer Support for any additional information you may need with regard to banking policies. Jackpot Joy only offers a little more than 100 games. This makes it a rather small casino, even by online standards, but what the site lacks in quantity it more than makes up for in quality. The following is a brief summary of what the casino has to offer in three of its game categories: Bingo, Slots, and Casino Games. Bingo is king at this casino. It is the only game in fact, that counts 100% towards meeting the Welcome Bonus playthrough requirements. So even if you are not a big bingo fan, we encourage you to give this game a try. Not only is it fun to play, but if you are lucky, you can win a lot of money for very little risk. Another plus is that this casino offers so many different variations of the game, getting bored is near impossible. One variation, which is unique to Gamesys casinos, is called SNAP! SNAP! is similar to regular bingo except that instead of making a BINGO with called numbers, you do so with a winning poker hand. Each SNAP! Card gives you the option to purchase from 1 to 5 hands. If you turn over a poker hand of a two pairs or better, you are an instant winner. With a 2 pair hand, you win 2x your card purchase price, but with a better hand, you can win much more. While highly unlikely, you could even get a Royal Flush which would pay 250x the amount you paid for your card. Then the next phase of the game starts. The dealer turns over one playing card at a time, and each time you have the same card, you match it in the column where it appears. (There are 5 columns, but instead of B-I-N-G-O, they are S-N-A-P-!) The first person to get SNAP! wins the game jackpot. Furthermore, if you do it in less than 8 calls, you win a big bonus in addition. You get 2,500x your card purchase price with 7 calls, 5,000 your card purchase price with 6 calls, and 10,000x your card purchase price with 5 calls! While the classic slots are simple by today’s standards (1 to 5 paylines), the top jackpots still pay off handsomely. Two of the classic slots, Bullion Bonanza and Tycoons Treasure, have a progressive jackpot. Most of the slots at this casino are the multiline variety. They offer a more immersive and action-packed experience than the classic slots. Here are a few examples. Houdini - If you can hit the jackpot in this 25 paylines slot game, you might assume it is an illusion, but it isn’t. The 10,000x your bet winnings would be real. The Godfather - This slot, which also has 25 lines, is almost as action packed as the movie! Zuma Slots - Another action-packed slot featuring free spins, multiples, and a huge top prize. In it for the Monet - Of course, you are really in it for the money. There is plenty of that, too, waiting to be won in this 15 paylines machine, especially if you can line up 3 easels in a row. Deal or No Deal - Based on the internationally popular TV game, this slot is also extremely popular with Jackpot Joy slot players. No surprise there. One player must have really been jumping up and down in jackpot joy after winning a progressive jackpot of £1.96 million! Can you snag an even sweeter deal? Only one way to find out! It takes more than bingo and slots to make a full service casino, so if your taste in gambling runs to other casino games, this section is where you will find them. For example, if you are a fan of roulette, Jackpotjoy offers both classic roulette (traditional European roulette with a single zero) and Roulette Splendide. The latter is the same game, but in 3D so it helps bring the online experience to life. 3D games are as close as you can get to live dealer games, which some online casinos offer, but Jackpotjoy does not. The bet range for each roulette spin is £1 to £1,000 or £10 to £4,000 for High Stakes Roulette Splendide. Blackjack is the area where jackpotjoy.com really shines. You have many different varieties to choose from, including some with excellent rules. For example, their Atlantic City game includes late surrender (which no land-based Atlantic City casino does any more. Their even better Single Deck game (with a bet range of £1 to £1,000) allows you to double down on any two cards for a return to player (using correct basic strategy) of 99.9%! What most online casinos call loyalty points, the recognition you earn for continued play in the casino even after you play through your Welcome Bonus, Jackpot Joy calls Joy Points. You earn 1 Joy Point for every £5 spent on bingo or £20 spent on slots or other games. When you accumulate enough Joy Points, you can redeem them in the Shop of Joy for cash or to enter drawings for prizes. Just for playing, and you do not have to be a high roller, you may be eligible for many of the special promotions that that Jackpot Joy is continually featuring. Most of them are for short periods of time only (a week or less), so be sure to check the www.jackpotjoy.com website frequently so you don’t miss out. In addition, one easy to take advantage of promotion that is ongoing indefinitely is Refer a Friend. You receive £20 for each friend you refer who signs up and plays (and your friend gets £20 extra too), up to £100 if you refer five friends. All your friends have to do is deposit at least £10 and wager the specified minimum (£40 for bingo, more for other games). All players have access to the casino’s award winning 24/7 customer support, which is accessible via live chat, phone, or email. Join Jackpot Joy today and get 30 Free Spins!